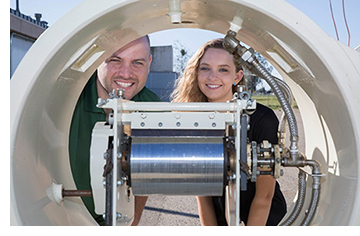 Researchers at UC Solar Opens a New Window. have developed and tested an innovative solar thermal-powered process for turning the pomace, or byproduct, of vegetable and fruit processing into reusable products, potentially lowering food-processing plant costs and reducing their carbon footprints. 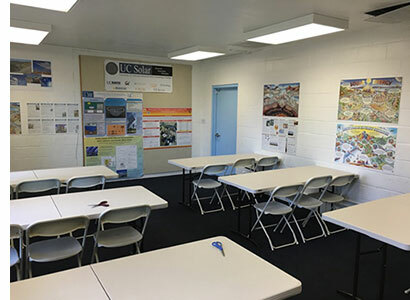 Merced Irrigation District and the University of California Advanced Solar Technologies Institute (UC Solar) are part nering to establish the Renewable Energy Learning Center at the Stephen Leonard Youth Center in Merced. The Steven Leonard Center is run by the Merced Soccer Academy at Stephen Leonard Park. 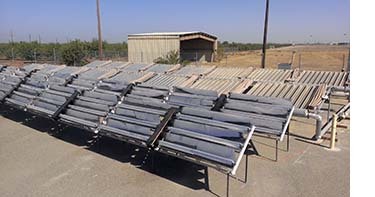 Bill Guiney is strongly considering assembling his company’s solar energy collectors in Merced County. The solar energy industry is emerging as a key player in the multi-pronged approach California will take in leading the nation in renewable energy, experts say. And the University of California’s research is leading the way. 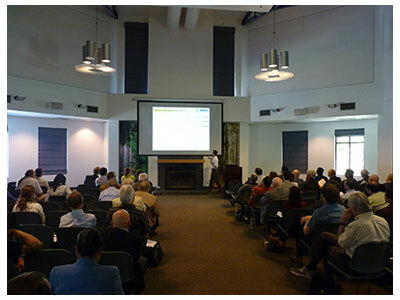 The University of California, Merced, home of The University of California Advanced Solar Technologies Institute (UC Solar), is sponsoring a seminar exploring the solar industry present and future, and the many creative initiatives being developed by the University of California. Through two new agreements, UC has committed to the largest purchase of solar power by any university in the country. The deals with Frontier Renewables will supply UC with 80 megawatts of solar capacity — enough to power about 27,000 homes — that will keep an estimated 88,000 metric tons of carbon annually from being emitted into the atmosphere. 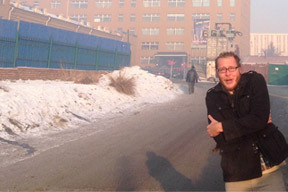 One of the world’s oldest civilizations – with the worst air pollution and the coldest capital city – will employ cutting-edge technology from the newest UC campus starting in February. As nature calls time on fossil fuels, researchers at the University of California are finding credible alternatives to oil and coal. It's solar power's time to shine. We’re running out of fossil fuels and the search is on for clean alternatives. Wind, waves and hydrogen have all grabbed recent headlines, but University of California researchers are bringing back the original renewable energy source: solar power. Solar is our most abundant and reliable form of renewable energy, and, when used effectively, has the potential to meet most, if not all, of our energy needs. 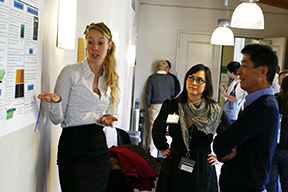 Everyone is invited to attend this year’s UC Solar Research Symposium, put on by the University of California Advanced Solar Technologies Institute (UC Solar), to learn more about the latest research and developments in this rapidly evolving field. 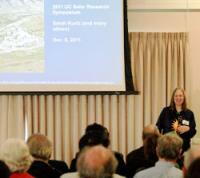 UC Merced leads the eight-campus UC Solar institute and is organizing the symposium, which will be held May 2 at UC Davis. 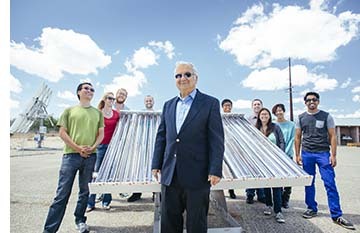 Organizers have lined up experts to promote public knowledge regarding present and future UC Solar research initiatives, and to examine the current state of the solar energy industry in California and beyond, including Larry "Kaz" Kazmerski, executive director of the National Renewable Energy Laboratory. Fifteen engineering students from Dankook University in Yongin, Gyeonggi, South Korea, have come to UC Merced to get hands-on experience in the research conducted at the UC Advanced Solar Technologies Institute (UC Solar), which is headquartered at UC Merced’s Castle Research Center. UC Solar is made up of faculty and researchers from the University of California’s Merced, Berkeley, Santa Barbara, Davis and San Diego campuses. 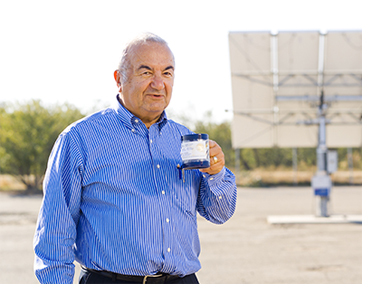 From improving the performance and efficiency of solar cells to using solar technology to speed up fruit drying, a wide array of topics were covered by distinguished scientists at the UC Solar Research Symposium at UC Merced on Dec. 9. 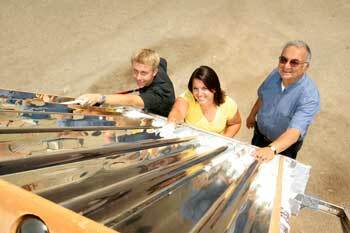 Using solar thermal energy to power an air conditioning unit can be difficult and expensive. 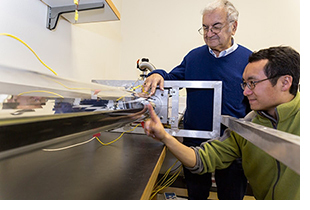 But a team of researchers at the University of California, Merced, have added a game-changing advance to the process that could make it much simpler, less costly and more effective. Roland Winston, UC Merced professor of engineering and natural sciences and director of the University of California Advanced Solar Technologies Institute, has been named to the board of advisors of the California Solar Energy Collaborative (CSEC). 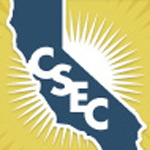 The board — which also includes members from UC Davis, UC San Diego and UC Santa Cruz, the California Energy Commission and several utilities — will meet twice a year to prioritize and define research and development projects for the CSEC. The University of California, Merced, received yet another bit of praise for its commitment to campus-wide sustainability this month, when its Long Range Development Plan (LRDP) was named the Outstanding Planning Document of 2009 by the Association of Environmental Professionals (AEP). Solar and wind power are both significant sources of renewable energy, but they are less predictable than the power available from the grid. They produce energy only when the sun shines and the wind blows. For example, a solar energy system in California's Central Valley will produce a lot of power on a hot, cloudless summer day, and you can count on that throughout most of the season. But during the winter, while that system will still produce substantial amounts of energy, the weather conditions are more varied and it's harder to predict how much electricity will be produced on a day-to-day basis. As the world's hunger for energy grows and fossil fuel supplies become less certain, the need to develop alternative renewable energy sources is paramount. 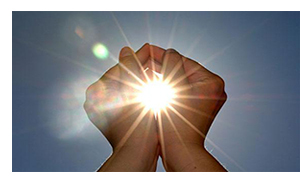 The most abundant source of renewable energy is the sun. 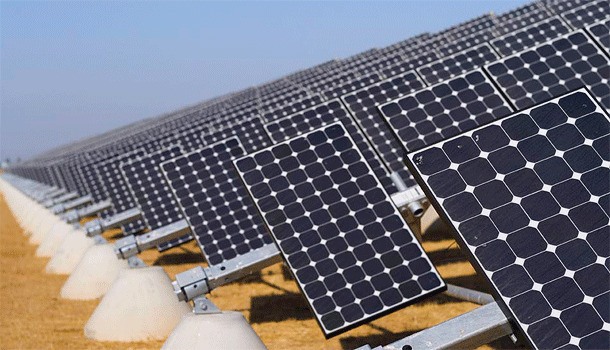 However, current technology used to convert sunlight into electricity is still relatively costly for wide-scale use. The solution? 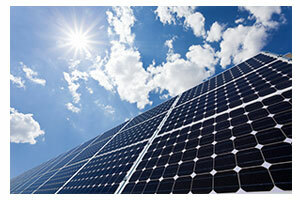 Find ways to make solar energy more efficient and cheaper to utilize.